Q: I love spring and I want to create some décor items. What do you suggest? A: If you still have Valentine's Day or even Christmas décor still hanging out in your home, it's time to pack them away and bring the joys of spring into your home! When I think about décor items, my mind immediately goes to the Big Shot. I love how it lets me create boxes, table settings, and banners for anyoccasion. Read on for some great spring décor ideas! You can bring the happy colors of spring into your home with little baskets and decorated boxes. The boxes can be placed throughout your home to add splashes of color, or group them on a hutch, table, or mantle to create a colorful focal point. Forget expensive formal napkins and table settings and don't settle for dollar store paper plates and cartoon napkins. Make your Easter table or spring get-togethers memorable with custom table décor that is fast and affordable. When you use the Table Setting Bigz XL die (#116819), you can create table settings that match your décor or theme to your event. From the one die, you can make napkin rings, place tags, tags, paper roses, pinecones, bag toppers, leaves, and so much more! You'll be amazed at how many projects you can use this die for beyond the obvious. Create a festive feeling of spring when you welcome your family and friends with a banner hanging on a hutch, above a buffet, over a window, across a mantle, or above a doorway. Pennants can be simple or elaborate and can be used year after year. Use the Pennant Bigz XL die (#113483) to die cut card stock, Designer Series Paper, or fabric. With this versatile and fast foundation you can create pennants and banners for any occasion. Decorate a banner with the same flower, butterfly, and alphabet dies you used for the boxes and you'll have beautiful coordinating décor to brighten your home this spring! The Big Shot can be your best friend when it comes to creating beautiful home décor to use season after season or to create quick gifts and treats to give to guests. 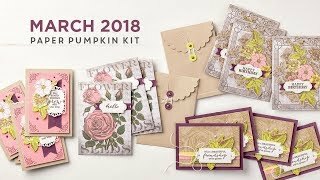 Pick a favorite Designer Series Paper, coordinating card stock, a couple of dies, and embellishments, and you'll be on your way to creating spring décor that you'll love to come home to! Have questions? 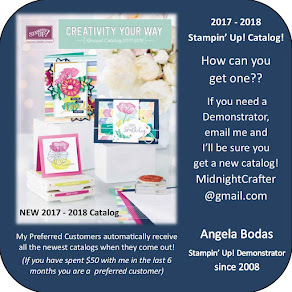 Let me know - I'm here to help! have you signed up to receive it? leave it in the comments section below. please visit my Online Store. Festive Fridays - Shake it Up!